Are you wanting to improve your home or businesses climate? Do you want to ensure that your employees or family members stay comfortable all year round? Drawing on years of detailed and focused experience the experts at TLA Services can provide a number of superior climate control solutions and services to Surrey Hills home and businessowners wanting to improve the comfort of their property. At TLA Services, our air conditioning services in Surrey Hills are tailored to the specific needs and requirements of our customers and their property. Thanks to our renowned approach we have conducted seamless air conditioning installation to Surrey Hills homes and businesses. From environmentally-friendly evaporative cooling to the highly-convenient split system, our air conditioning for Surrey Hills properties can be tailored to suit your exact requirements. 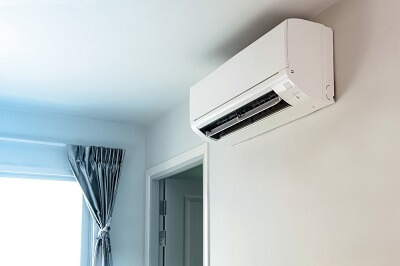 From split system units, to evaporative coolers, all the way to conventional wall-mounted air conditioners the team at TLA Services can install and provide extensive after-care for your selected unit. By speaking to TLA Services about their air conditioning, Surrey Hills locals can enjoy comfort even on the most blistering summer days! To discuss your air conditioning requirements with our team Surrey Hills residents can call us today on 0430 234 057. In addition to air conditioning, we also provide ducted heating to ensure you can be comfortable and cosy all-year round.